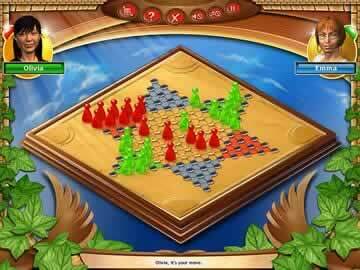 World's Most Famous Board Games Game Review - Download and Play Free Version! Enjoy 11 of the Best Board Games in One Place! You'll Always Have an Opponent! Play 11 classic board games including: Chess, Checkers, and Backgammon. Three levels of difficulty in each game. Each game has a tutorial that explains the rules and objectives. Only a few of the games are different than the games that come installed with Windows XP. Though rules are written, the explanations of the games are not interactive. Enjoy 11 of the best board games in one easy place! 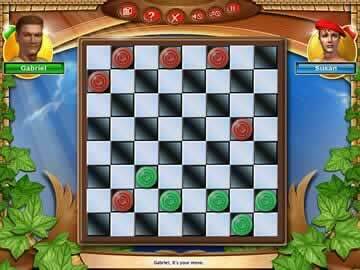 Play chess, checkers, Pachisi, backgammon, Chinese Checkers, Snakes and Ladders, Blocked!, Reversi, Nine Men's Morris, Catch the Hat and Peg Solitaire. This pack of games is great because you have opponents available all the time! You can change their skill levels to make the games harder or easier. Each game comes with easy-to-understand instructions and an interesting 3D game board. You can play all you want and switch between games as often as you want to! With so many games available in this pack you'll always have something fun to do! This game can easily become part of family game night because you can play against the computer or friends and there's no mess to clean up afterward. Gamers wanting to learn new games can do so easily with the quick instructions and gamers wanting to replay childhood favorites won't be disappointed! Game board fans won't want to miss World's Most Famous Board Games! World's Most Famous Board Games (WMFBG) is a collection of 11 classic board games. In this game you can compete against your friend in a multiplayer mode, or hone your skills against the computer in single player. The rules of the games are standard, but if you are unfamiliar with a game, each one has a tutorial that explains the rules and objectives. WMFBG is a great game that houses a lot of the most famous classic board games. In World's Most Famous Board Games you have the option to play from one of eleven games. These games are: chess, backgammon, reversi, Chinese checkers, checkers, Pachisi, blocked, Snakes and Ladders, Catch the Hat, Nine Men's Morris, and peg solitaire. 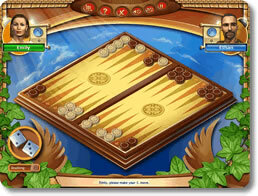 Each game offers an explanation of both the rules and the gameplay which are given in the instructions. Most games have you using the mouse to control pieces and roll the die. Also, each game pits you against either a computer with an adjustable difficulty (feather is easy, weight equals medium, and the anvil is the hardest level), or another player that plays on the same computer. Playing a friend is more fun because the human interaction brings about a level of competition that is hard to come by playing the computer. One of the best parts of this game is it ease of use and accessibility. WMFBG is an easy game to sit down and play for any period of time. The games are not consuming and are designed to be played quickly and often. Your games of backgammon and checkers won't take more than 15 minutes, so you have time to play multiple games or just play a short one over a break. Since these games are quick to play, you will not feel too consumed or obligated to play. There are a few downsides with these games that make them less than appealing to purchase. The first is the lack of an online mode. Not being able to play online limits the game and makes it less than desirable. An online mode would open this game up and make it much more enjoyable to play. Another drawback to this game deals with demand. Since this game is only downloadable for Windows 2000/XP computers, it does not have a high demand. Most of the games in WMFBG's come pre-installed on your home computer. Also, these games that are standards for Windows computers have internet capabilities. You can play against both the computer players and others over the internet in the standard Windows games. The Windows versions are better, so besides having a few more games, WMFBG is inferior.